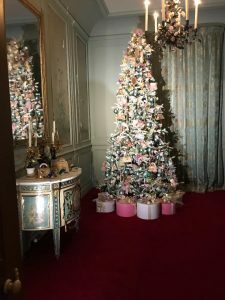 We were invited along to Waddesdon Manor last week to experience their Christmas Carnival themed displays, so if you’re not quite feeling festive enough yet, then make sure you pay them a visit. 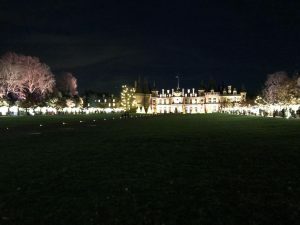 We went along to Waddesdon’s Christmas display last year and I have to say they have out done themselves this year as the projection and light displays are truly incredible. We arrived just as it was getting dark and as soon as you set foot off the bus you’re transported into a magical land of wonderful lights, sounds and smells. The grounds in front of the House is used for the Christmas markets. 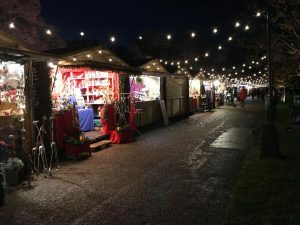 The little wooden chalet stalls are filled with lots of goodies if you’re looking to pick up some Christmas presents, or fancy a treat for yourself. There are also stalls selling handmade decorations, beautiful homeware and artisan foods, as well as delicious nibbles and drinks! The Christmas market runs until 16 December. We had a tour of the Manor House and were blown away by the incredible decorations inside. 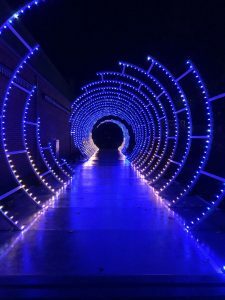 The theme for this year is carnival, shining a spotlight on Waddesdon as a place for entertaining. Some of the actual manor is closed off for conservation over the winter months, leaving the East Wing and Bachelors’ Wing to be beautifully decorated, with each room taking on it’s own version of the carnival theme. We stepped outside and the front of the manor came to life with colourful dancing lights set to festive Christmas music. 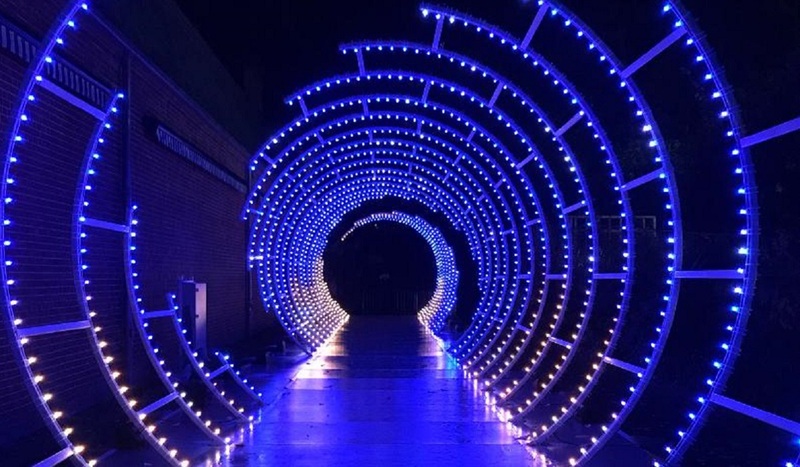 We then took a walk around The Aviary gardens and woodland playground which was beautifully lit up with the continued carnival feel with one of the highlights being the enchanting tunnel of light. The projection at the Stables had to be the highlight of our visit and we were blown away by how amazing it was. The 3D animation, produced by the Guildhall School of Music and Drama told a wintry story and was narrated by characters from Henry Gissey’s 1653 costume designs for Ballet Royale de la Nuit. During our visit we also sampled some delicious mulled wine and festive food from the Stables Cafe. 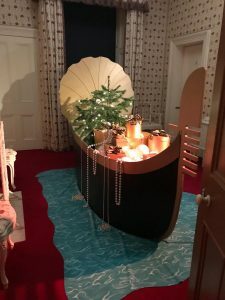 In addition to the incredible light displays and illuminated woodland trails this Christmas, they also have letter writing to Father Christmas, Christmas bauble painting and Christmas Wreath Making. 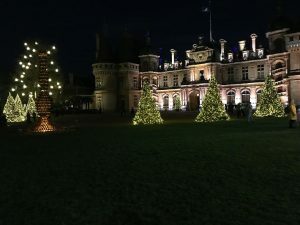 Make sure you include Waddesdon Manor as a must place to visit this Christmas – you won’t regret it! Open Wednesday – Sunday, 11.00am – 6.00pm. Closed 24 – 26 December. Entry to Waddesdon is free to National Trust members and under 5’s. Advance booking is essential if you want to visit the house.